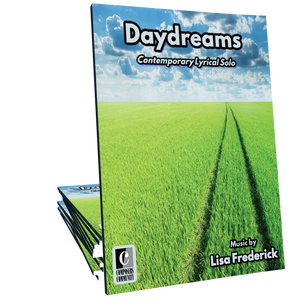 Sun Suite, by Canadian composer Lisa Frederick, is a set of three contemporary lyrical solos celebrating the beauty of the sun at different points of the day. This set is ideal for intermediates of all ages and will function well as a set or as separate showcase solos. It is very rare for me to adore a piece of music so much that I find myself anxiously awaiting for all of the demands of the day to be done so I can just sit down at the piano and play to my heart's content. I love love love them - yes all three! I wish I could give them more than five stars.